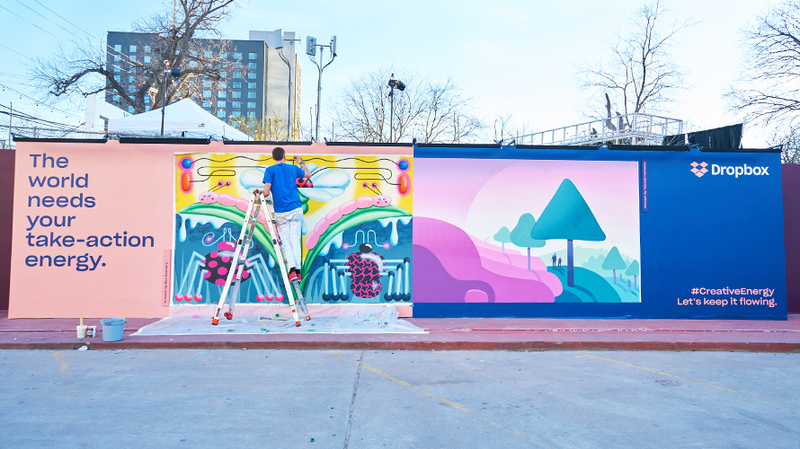 Dropbox asked six artists to co-create murals for SXSW. 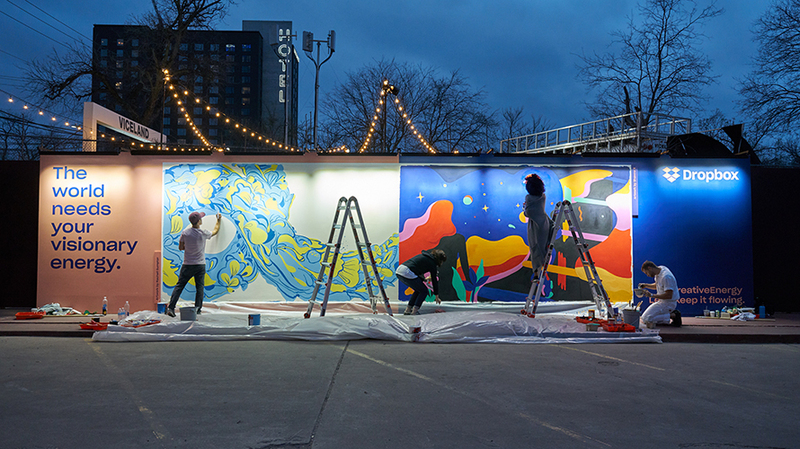 Dropbox aims to inspire the world to unleash its creative energy—and it’s staying on brand at SXSW this year with three co-created murals (no, not quite Three Billboards-style) from up-and-coming artists. 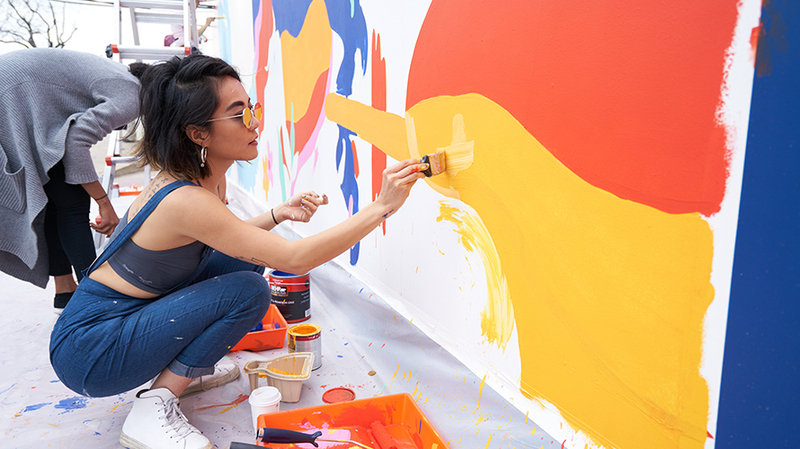 With the activation, Dropbox wants to “tell our story about helping people to collaborate, find flow and work together in a meaningful way,” said Carolyn Feinstein, Dropbox chief marketing officer. 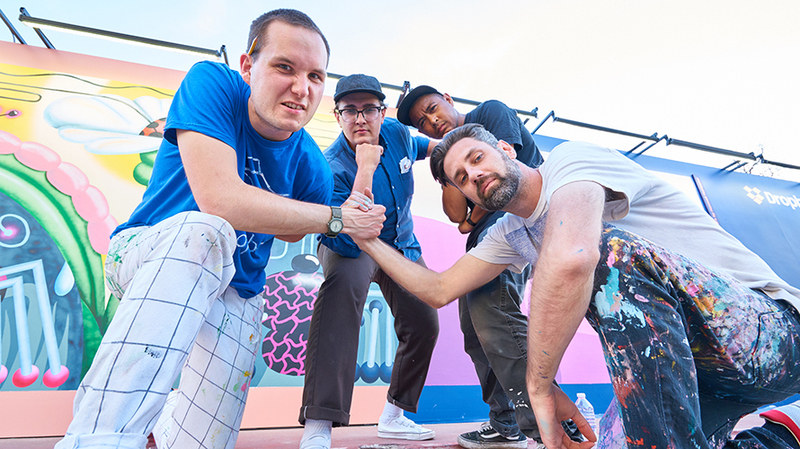 Over the weekend, six artists painted three different murals—two artists working together on a separate piece every day—live at SXSW. 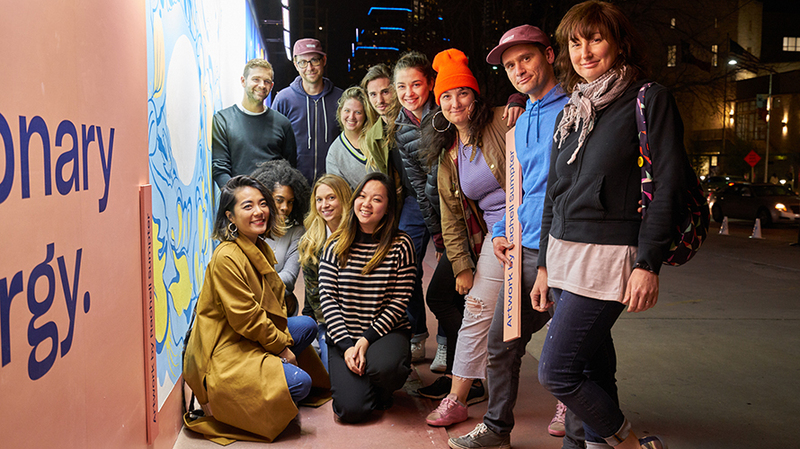 Agency 72andSunny worked with Dropbox to select three different themes, or “creative energies”: reimagining the future (day one; Rachell Sumpter and Shawna X), environmentalism (day two; Ben Sanders and Maxwell McMaster) and human rights (day three; Stacey Rozich and Matt Leines). 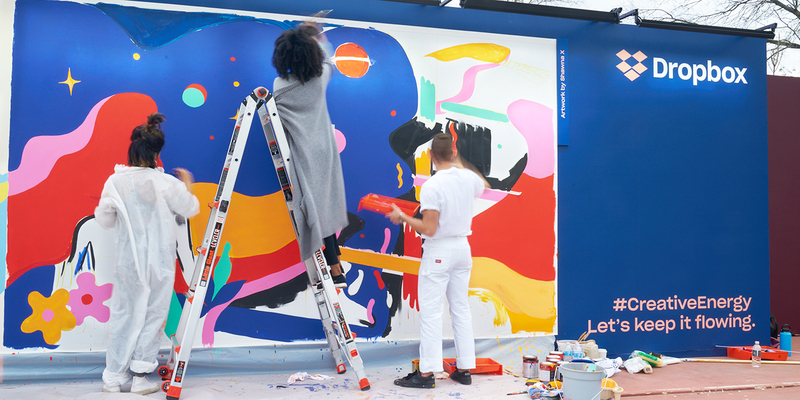 After the artists were paired and assigned a creative energy for their mural, the duos worked together in Dropbox Paper to collaborate on their final products. 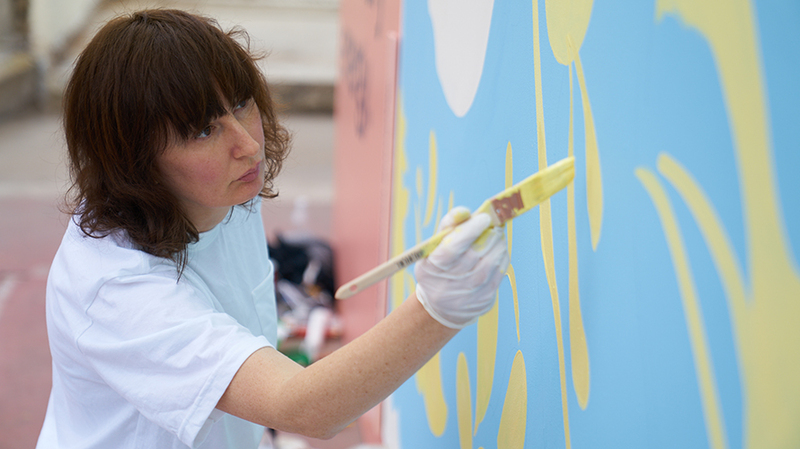 On their assigned day, they worked morning to night to bring their collaborated masterpieces to life. 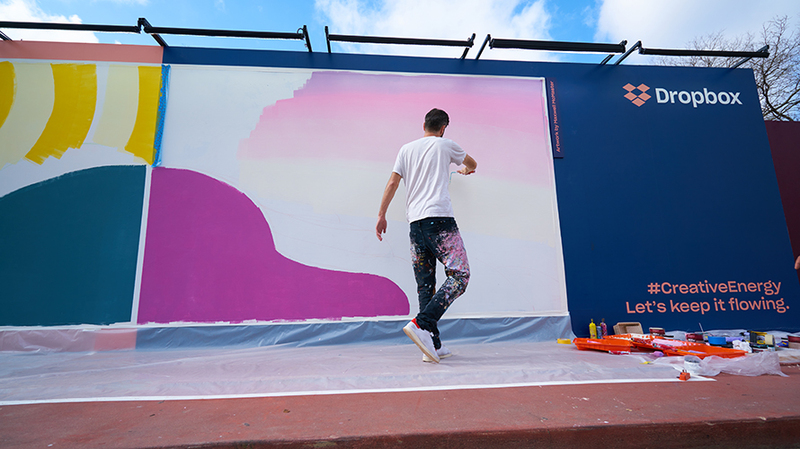 Dropbox and 72andSunny worked closely together to select the six artists that would work on these murals. It was important that the two artists within each pair have styles that weren’t too similar, but also weren’t too different. 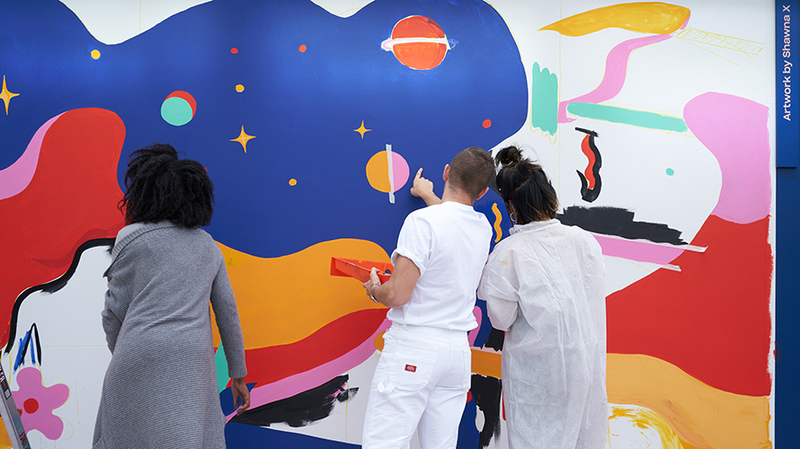 “We were looking for contrast between artists that were relevant to the theme,” said Matt Murphy, partner and executive creative director at 72andSunny. 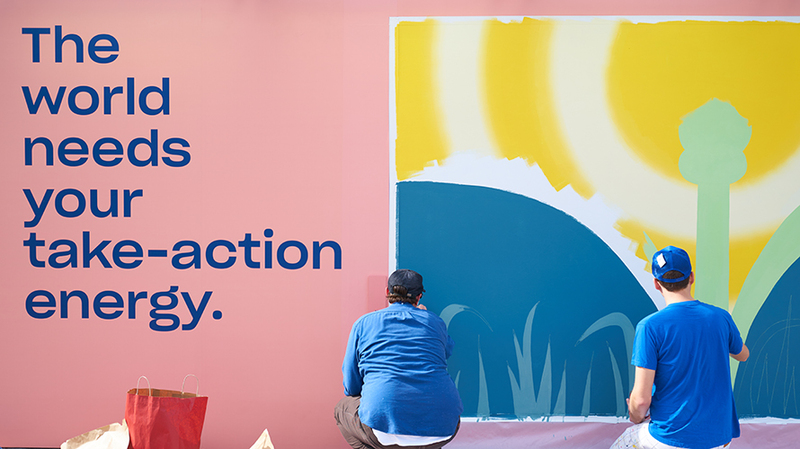 The Dropbox team worked closely with the 72andSunny art production department to find the best artists to work with on this project. “These are artists with a passion around some of the creative energies that we believe that the world needs now more than ever,” Feinstein added. 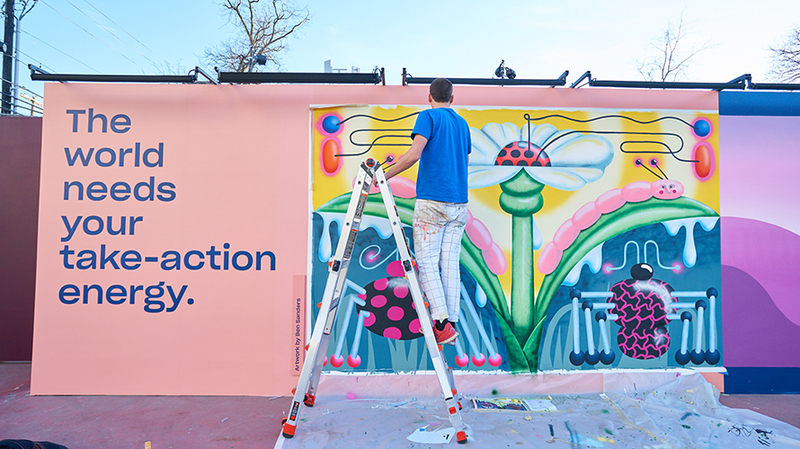 The activation by Dropbox is a continuation of the brand’s recent creative energy campaign and rebrand, which launched in October of last year. 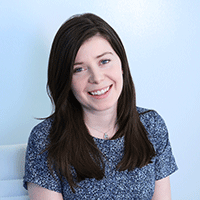 “There are obviously a lot of topics at SXSW that are kind of joint passions of ours [as well as] the people who use Dropbox, so we want to be part of that conversation in a way that is additive,” said Feinstein.